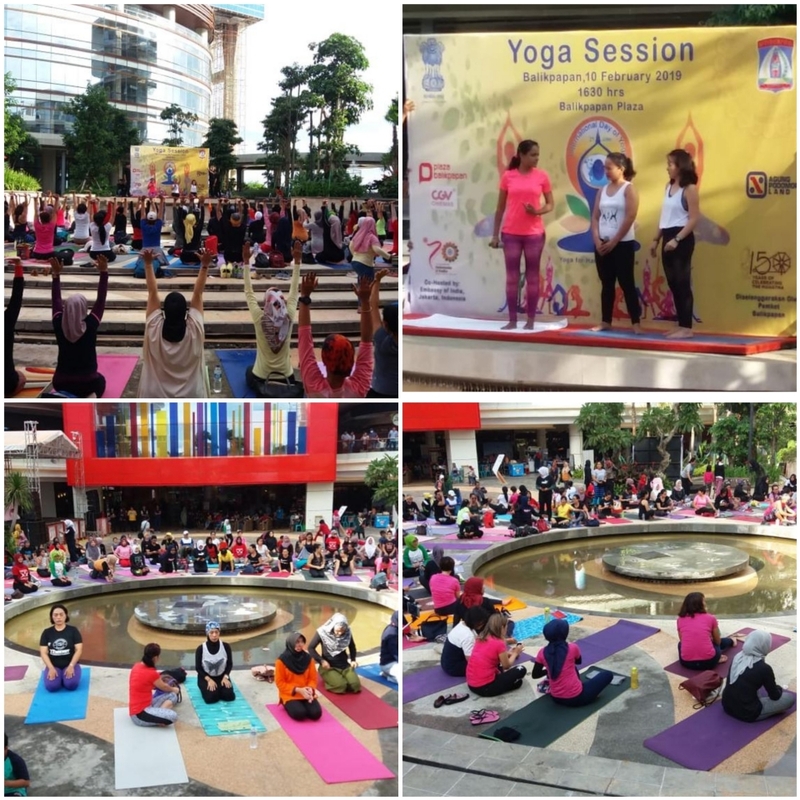 A special Yoga Session was organised at Balikpapan City Plaza on 10 February 2019 by Embassy of India, Jakarta along with the city government of Balikpapan. Over 200 participants joined the yoga session. The participants actively followed the IDY protocol postures that were conducted by Indian Yoga Teachers from Jawaharlal Nehru Indian Cultural Centre (JNICC), Jakarta. The Yoga Session was organized by Embassy of India as part of the India Culture Week in Balikpapan from 9-16 February 2019.